You need to generate a lot of heat if you want to be Mr. Worldwide, but if there’s one thing Pitbull has — besides a way with rapid-fire rhymes, billion-dollar beats, and globally infectious hooks — it’s charm by the boatload. Always impeccably dressed in a sharp suit and shades, Pit enters a room trailed by his pals happily bantering away in Spanish, a gorgeous girl, and members of his management team. Even while juggling a constant stream of incoming texts and emails on his two smartphones, Pit has the ability to make everyone he meets feel at home, addressing them as “Mama” or “Papo,” and asking if they need anything. He’s the consummate professional: confident and charismatic, a true star. Pit’s magnetic personality electrifies Planet Pit — a spicy, stylish stew of raps, beats, and hooks influenced by the music Pit hooks influenced by the music Pit has absorbed growing up and living in Miami, which claims a wide range of dance-driven sounds thanks to the Cuban, Dominican, Colombian, and Caribbean people who make it their home. “I grew up with salsa, merengue, bachata, booty-shaking music, freestyle music, then came hip hop for me. So you throw all that in a pot, which we call a paella in Spanish — that's what I'm trying to do with this album,” says Pit, who performed in such far-flung locales as France, Indonesia, South Africa, Brazil, and Singapore, among others, while promoting Rebelution. “It embodies a bit of everywhere I’ve been. For example, ‘Shake Señora’ has got T-Pain, who’s from Tallahassee and Sean Paul who brings the Jamaican feel. I’m trying to be the ambassador; the bridge builder who brings elements from all over the world and puts it all together so it sounds like nothing you’ve ever heard before.” The album’s hot new single, “Give Me Everything,” catches fire thanks to the sizzling talents of Ne-Yo, Afrojack and Nayer. Much like the worldwide smash, Planet Pit is a star-studded affair that includes contributions by a host of pop music luminaries, such as singers Marc Anthony (“Rain Over Me”), Jamie Foxx (“Where Do We Go), Chris Brown (“International Love”), and Kelly Rowland (“Castles Made of Sand”). To give the album its edge, Pit surrounds himself with a rouges gallery of today’s hottest artists that includes T-Pain (“Hey Baby”) and Sean Paul. To blend the album’s diverse sounds into a seamless flow, Pit tapped top producers like David Guetta, Afrojack (“Something 4 The DJ’s), RedOne, Polow Da Don and DJ Frank E. In fact, Pitbull’s “Come & Go” which features Enrique Iglesias marks the first time that super-producers Dr. Luke, Benny Blanco and Max Martin work with Pit. “The goal for Planet Pit was to pack it with 10 big singles,” Pit says. “I want each track to be a huge record, not just two records and the rest is bullsh*t.” With its relentless rhythms, the music is tailor-made for the clubs, but Pit has already proven that he can cross over to urban, Latin, and pop audiences with the Brazilian-influenced “I Know You Want Me (Calle Ocho),” which climbed to No. 2 on Billboard’s Hot 100 and hit the Top 5 internationally, including in the U.K. and Canada. His sound, combining hip-hop and Euro-dance elements with fierce rhymes and sizzling pop hooks, has proven to be a winner on the charts. Onstage, Pit truly brings this highly personalized combination of styles to life by harnessing the raw energy of his live band. The interplay between the singer and the musicians creates a festive, spontaneous atmosphere that would be impossible to duplicate if Pit performed backed only by a DJ spinning tracks. “When the congas are pounding and the bass is thumping behind me, nothing can touch me. It feels like I’m riding a bolt of lighting.” But the real beauty of Planet Pit is that its creator never forgets his roots, and Pit’s wide-eyed appreciation for how far he’s come grounds his irresistible global music in a relatable humanity. Pit learned the power of words from a young age. His parents were first-generation Cuban immigrants, and his father taught him to recite the words of Cuban poet and independence leader José Martí in the bars in Miami’s Little Havana. After his parents split, Pit had a complicated relationship with his father, who made a significant amount of money in the streets, but found that money that comes quick, leaves quicker. His mother also struggled to make ends meet, and Pit shuttled from one run-down home to another, even spending time with a foster family in rural Roswell, Georgia. Inspired by Nas and The Notorious B.I.G., Pit began rapping in high school after his mother kicked him out for dealing drugs. He managed to graduate and began to focus on his career, hanging out in clubs and performing wherever he could. Pit caught a break when Lil Jon invited him to appear on his 2002 album Kings of Crunk, and capitalized on the opportunity by following it up with several well-received mixtapes. In 2004, Pitbull signed with TVT Records, which issued his three No. 1 independent albums, M.I.A.M.I. : Money Is A Major Issue (2004), El Mariel (2006), and The Boatlift (2007), earning Pit a reputation as rap’s most versatile leading man. Through collaborations with his mentor Lil Jon, Pit scored a number of club smashes, including “Krazy” and “The Anthem.” After leaving and signing to Polo Grounds Music/J Records, Pitbull continued to be recognized for his work, winning the first-ever “Latin Digital Download Artist of the Year” award at the 2009 Billboard Latin Music Awards. 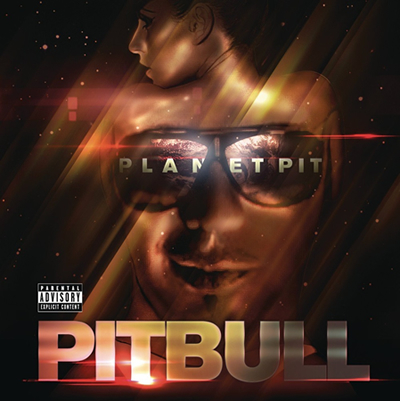 And now, as he gears up for the June 21, 2011 release his new album, Pitbull is ready to introduce the planet to Mr. Worldwide.